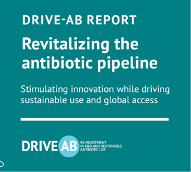 DRIVE-AB issues final report on its research-based suggestions for driving antibiotic development while ensuring access and sustainable use. For news release, click here. The full report and the executive summary are available here.